Flip houses for big profits in this exciting strategy game! 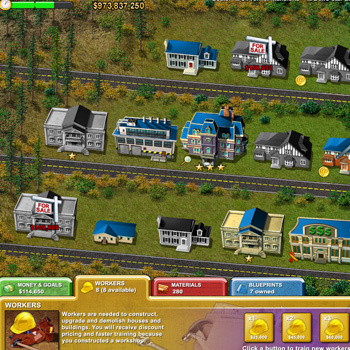 Send the housing market through the roof as you build, buy, and sell houses in our addictive strategy game, Build-a-lot! You can flip houses for quick cash or sit back and watch the rental income pile up. Can you build a new cinema for the local movie star? Build a new ice rink for the Olympics? No problem! There’s plenty to do and lots of fun ahead in Build-a-lot!